While the tennis world was buzzing over Roger Federer vs Grigor Dimitrov earlier today, the Paris masters draw was released; the final masters 1000 event of the season. The Swiss maestro, seeded fifth, receives a first round bye before facing either Kevin Anderson or Mikhail Youzhny in the second round. He is seeded to face Tommy Haas in the third round, followed by either Juan Martin Del Potro, Grigor Dimitrov, or Marin Cilic in the quarterfinals. Drawn into the bottom half of the draw, Federer potentially faces Novak Djokovic or fellow countryman Stan Wawrinka in the semifinals. 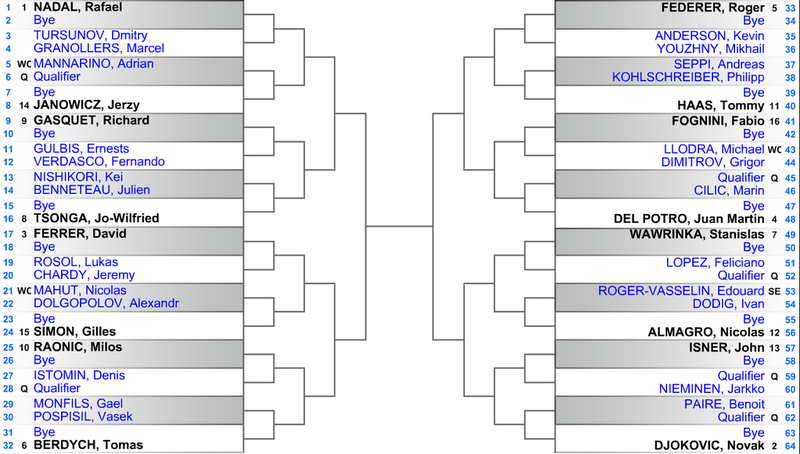 Leading the opposite side of the draw are Rafael Nadal, David Ferrer, and Tomas Berdych. View the full draw below. Main draw play begins Monday, October 28. 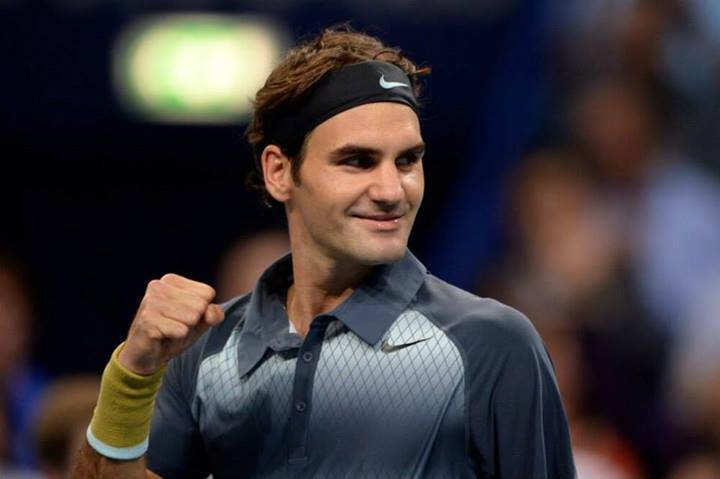 Watch full coverage of the 2013 Paris masters on FF07tv.